K-pop girl band Apink postponed the release of their new album due to some errors found in the album-making process, according to their agency A-CUBE Entertainment. The quintet had originally planned to unleash the fifth EP “PINK LUV” on Monday, but delayed the release date to Nov. 24. The label explained that it found some flaws in the album design and production process. The 50,000 CDs which have already been made will be discarded. 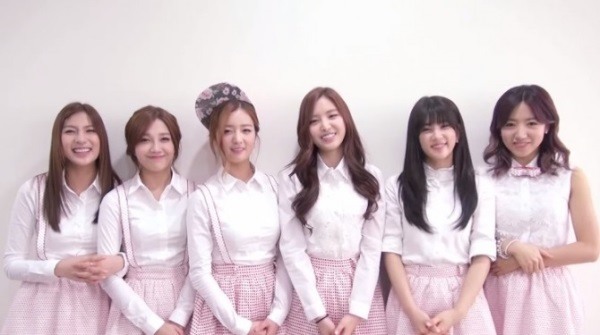 “We apologize to the fans who have been waiting for Apink’s comeback. We will delay the comeback, scheduled on Monday, to make the stage and production perfect,” said an official from A-CUBE. Apink recently revealed a set of teaser images and video that show their signature cute, lovely looks. The upcoming album will be available from Nov. 24 online and in stores.